THE CONCEPT: How many hours are in a day when you don't spend half of them watching television? When is that last time any of us REALLY worked to get something that we wanted? How long has it been since any of us really NEEDED something that we WANTED? The world we knew is gone. The world of commerce and frivolous necessity has been replaced by a world of survival and responsibility. An epidemic of apocalyptic proportions has swept the globe, causing the dead to rise and feed on the living. In a matter of months society has crumbled, no government, no grocery stores, no mail delivery, no cable TV. In a world ruled by the dead, we are forced to finally start to live. 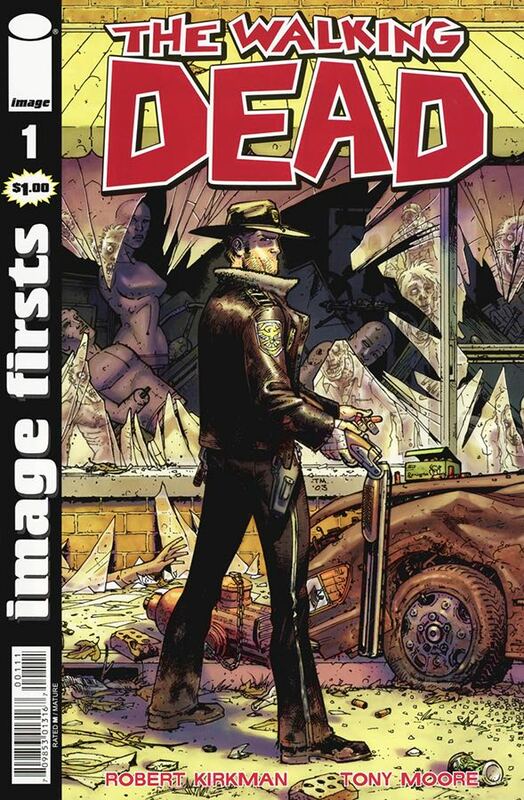 THIS ISSUE: Rick Grimes is not prepared for this. A couple months ago he was a small town cop who had never shot anyone and only ever saw one dead body. Separated from his family he must now sort through the death and confusion to try and find his wife and son. All the while fighting for his survival. How did this happen? How did things get so bad so fast? How will things ever return to normal after everything he's seen? From the guys behind BATTLE POPE and BRIT comes something COMPLETELY different.